Ease of use: "Nice clean look and very easy to install." 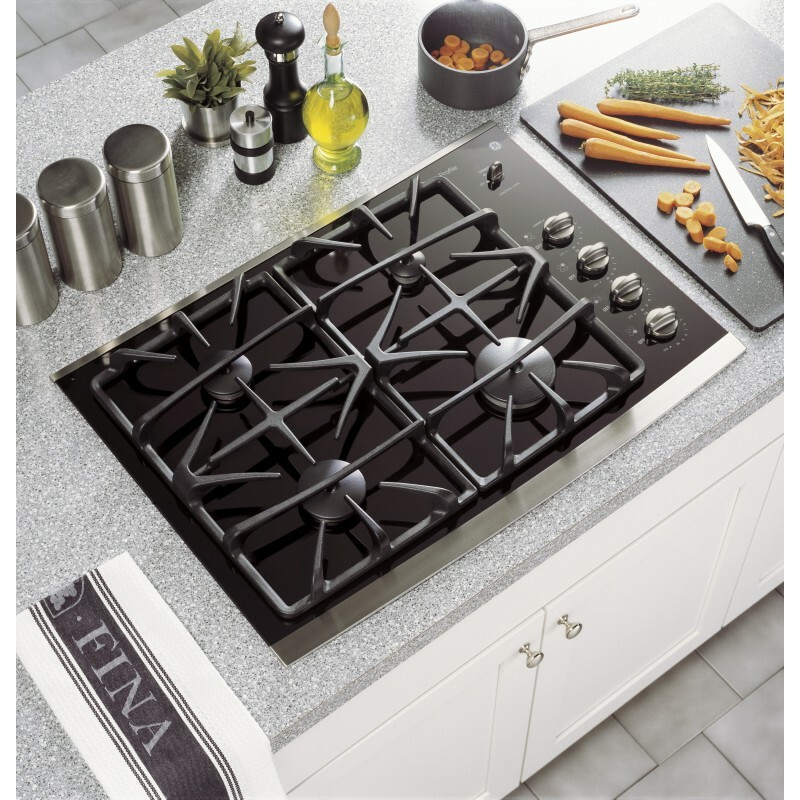 Design/style: "Sleek and well designed cooktop." 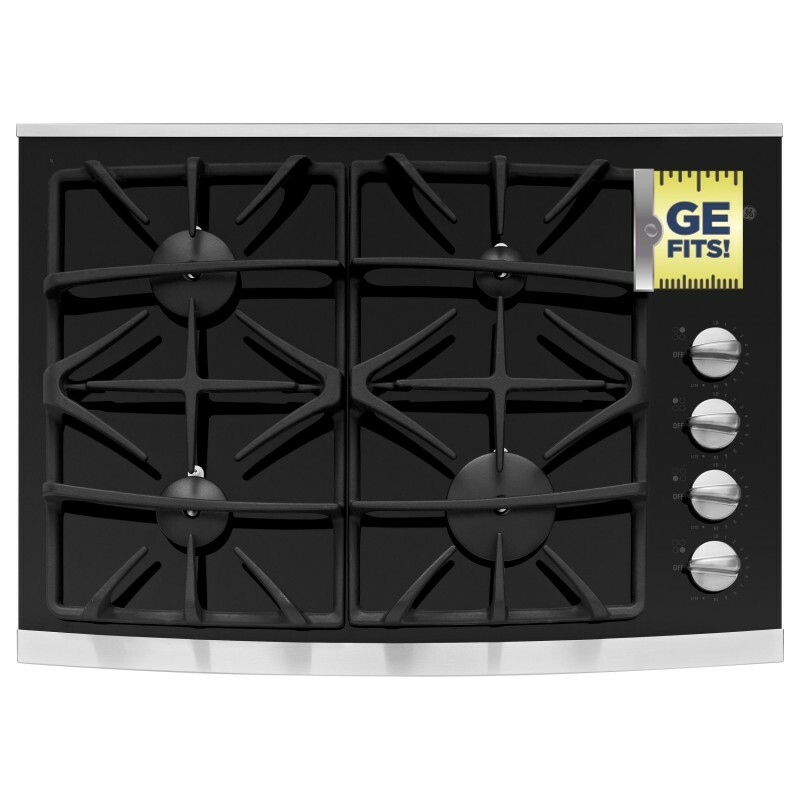 The GE Profile 30 in. 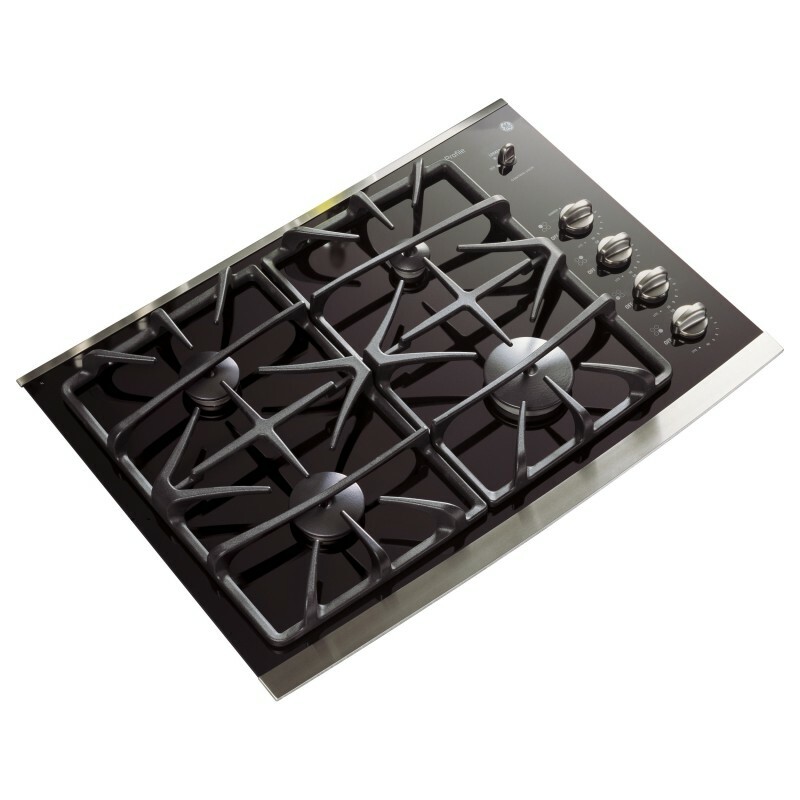 Built-In Gas Cooktop features an electronic pilotless ignition to help provide safe and reliable start-up. The cooktop has 4 burners including the PowerBoil burner that delivers 15,000 BTUs of heat to help speed up the boiling process. The continuous-grate burner design helps provide easy movement for pots and pans between burners, and the 1-piece ceramic glass surface is sleek and easy to clean. Love the glass! I love the glass. 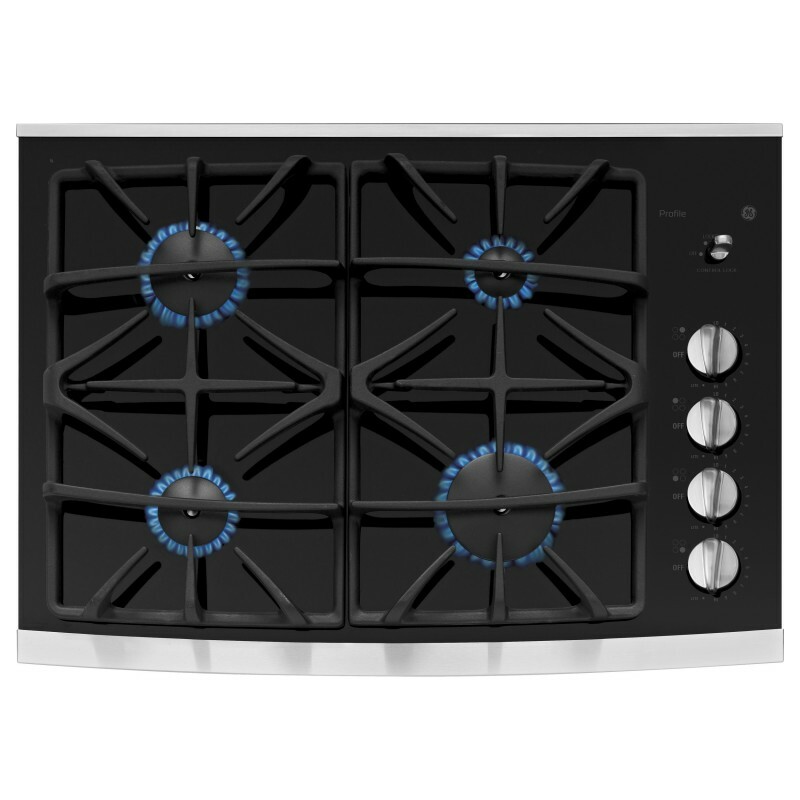 We had this cooktop in a prior house and HAD to have it in our new home. The glass is so sleek. Looks beautiful on the counter and clean up is a breeze. We've gotten many comments on how nice it looks! Perfect for our purpose! Makes our cooking more enjoyable. 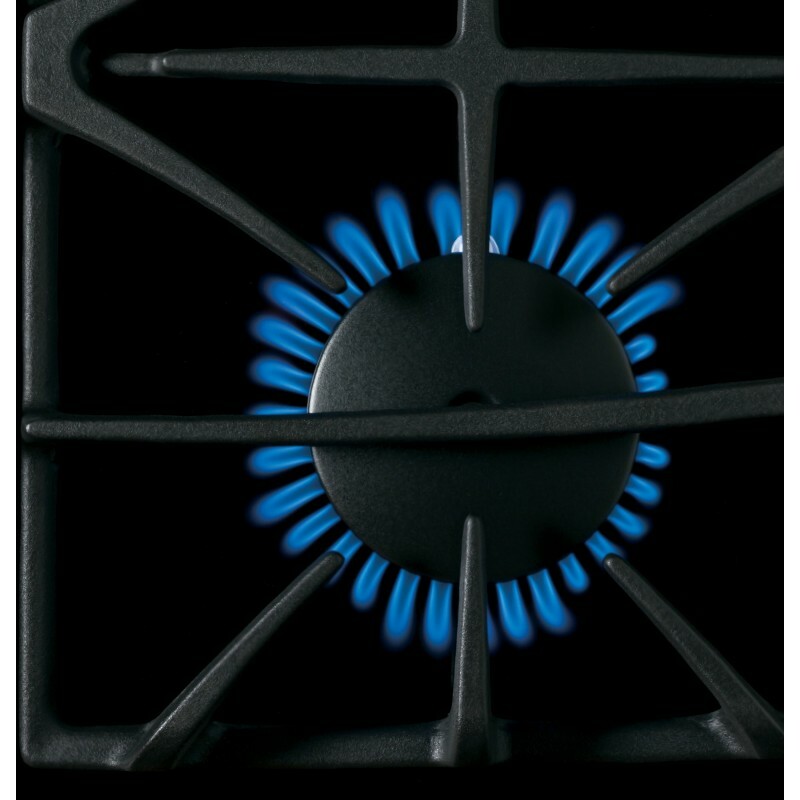 Very reliable and much better heat control than our old electric range. Beware of the rough cast iron grates The cast iron grates are extremely rough. The control panel is to sensitive. Turns on the oven if you barely bump it.